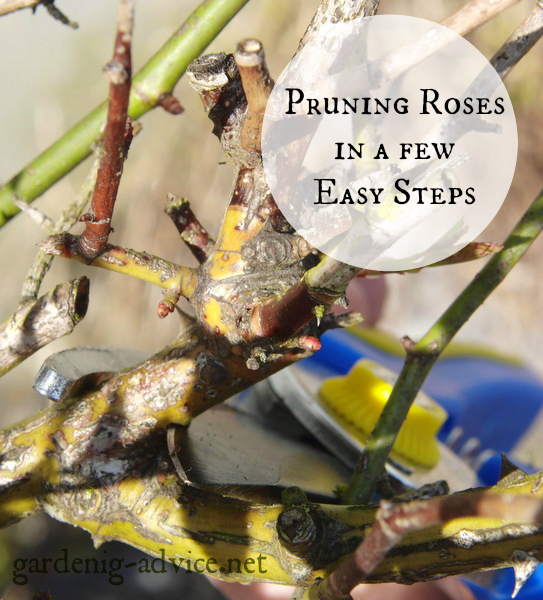 Pruning Rose Bushes Is Not Difficult! 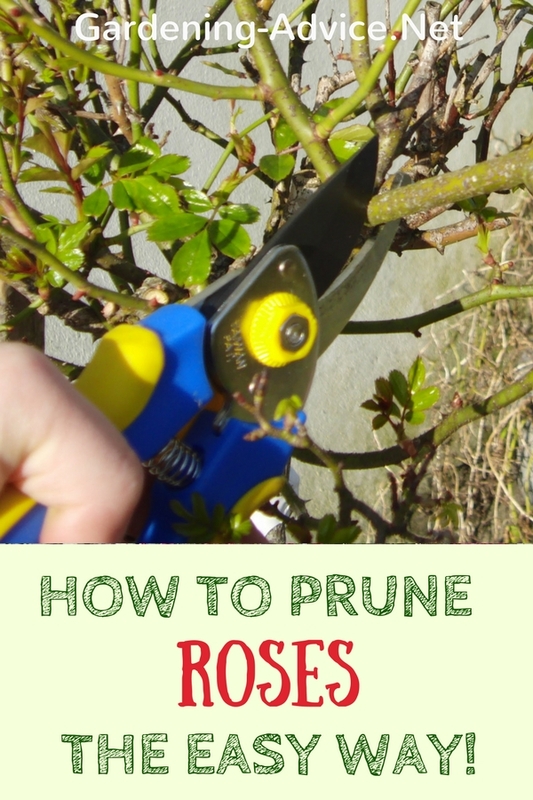 Pruning Rose Bushes is not rocket science! 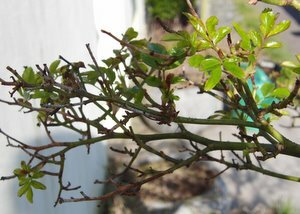 Instructions for pruning, deadheading roses and when to prune roses. 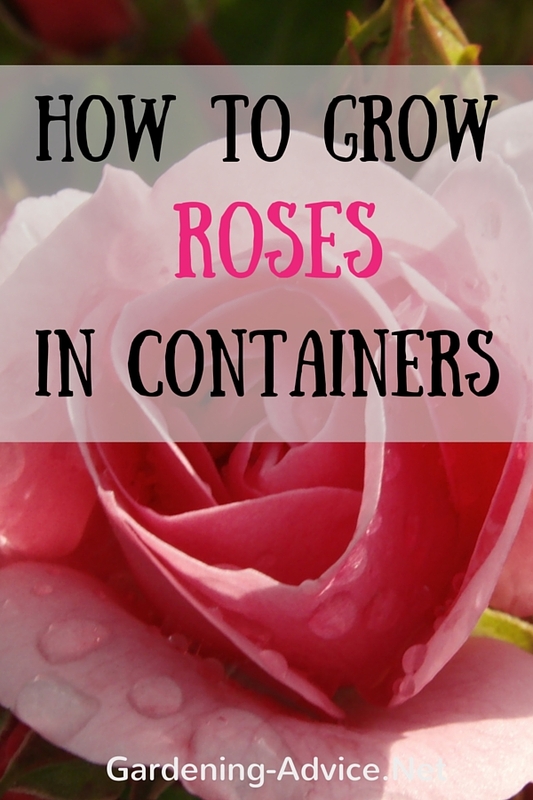 Learn how to cut roses for maximum flowers and health. Trimming roses though is not that difficult and can be learned by anybody! Follow these step-by-step instructions and enjoy healthy and beautiful roses. 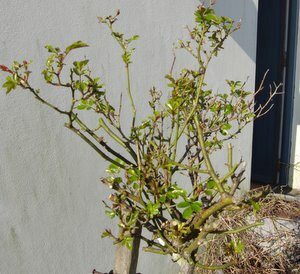 Pruning rose bushes seems like a daunting task for the inexperienced gardener. The reason for this might be that some people make it sound difficult and mysterious. But this task does not have to over-complicated. Once you know the basics you can't do much wrong! Get the right tools and this job is a breeze! Why do you have to trim roses? 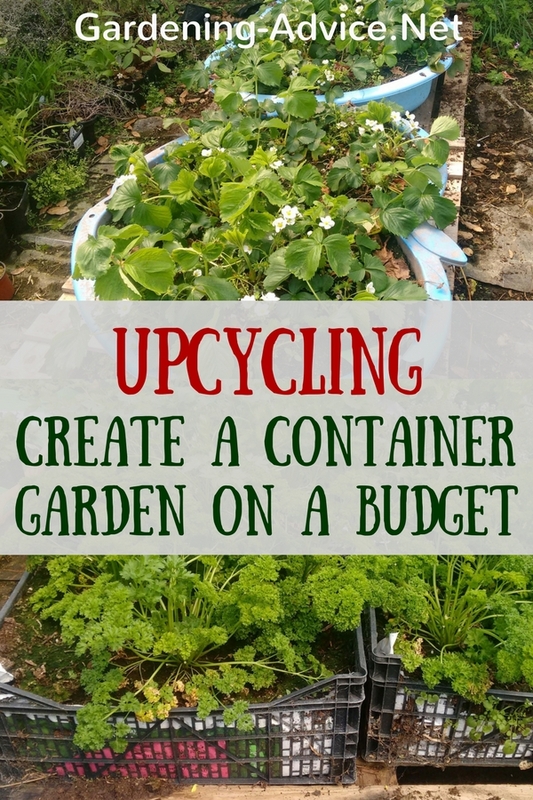 Cutting back encourages new growth and healthy new shoots that will produce lots of new flowers. 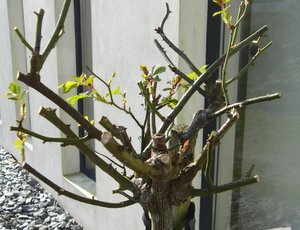 The old branches eventually die and can harbor pests and diseases if they are not removed. A good trim encourages an open bush with a nice shape. Sometimes you might be restricted in space and have to keep the size of the bush down by pruning. 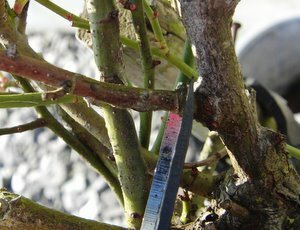 Pruning rose bushes plays an important part in good rose care. 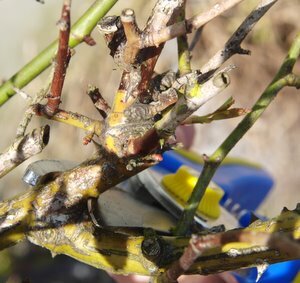 A good pair of secateurs is essential for rose bush pruning. Blunt blades crush the stems which can lead to infections and diseases! Find the best rose gardening tools here. 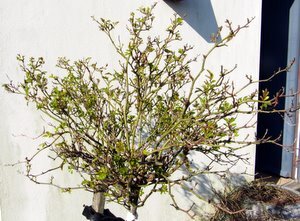 The best time for trimming most types of roses is late winter or early spring. 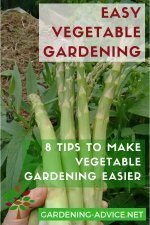 The time varies with the local climate and the exposure of the garden. In mild places this can be as early as February or late March in cold regions. 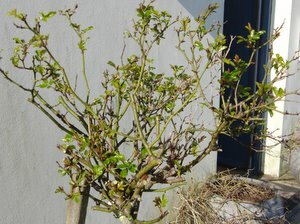 You know that the time is right when the buds are starting to show the first signs of growth. Nearly all roses flower on the shoots that are produced during the current season. Exceptions to this rule are ramblers that flower on the wood produced in the previous year. 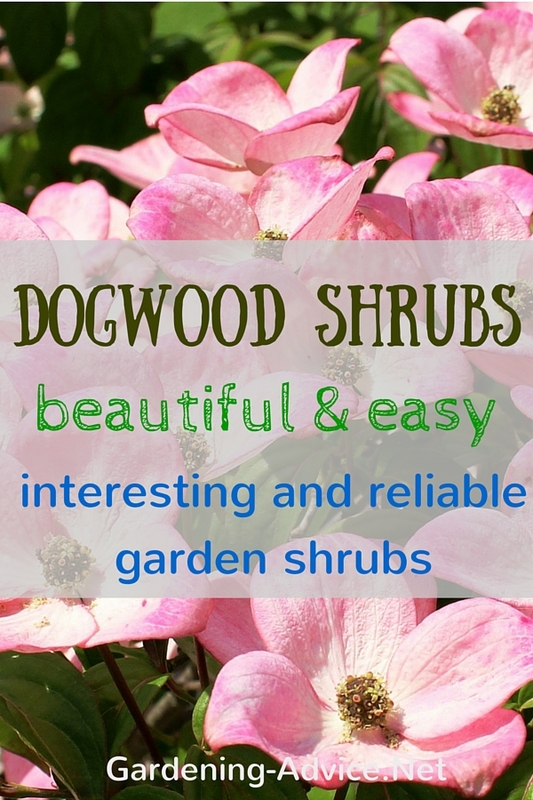 These are best pruned in late summer when finished flowering. 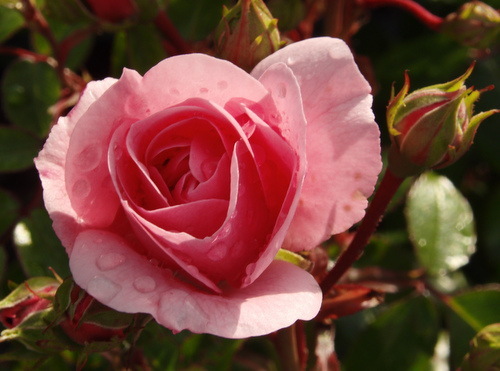 Deadheading roses should be done during the flowering season to keep the plants producing flowers. Just cut off withered flowers with a couple of inches of their stems. 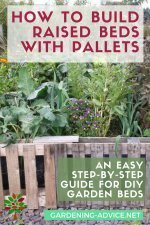 This will help to keep theplant flowering longer and more abundant. 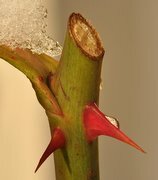 The shoots of rose bushes have buds along the stems. Some of them face outwards and some inwards. They usually alternate along the stem. 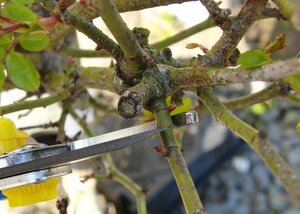 Cut the stem above an outward facing bud to keep the bush open and to prevent crossing branches in the middle of the bush. Make a slightly sloping cut right above the bud. This will prevent water from sitting on the cut for too long. If you cut too far away from the bud the part above the bud will die off. This looks ugly and can of course harbor diseases again. Another mistake is to have the cut too close to the bud which will damage it or have the cut too slanted. This will leave an unnecessarily big area for the plant to heal. Remove diseased and dead wood. This prevents fungal infections and diseases. 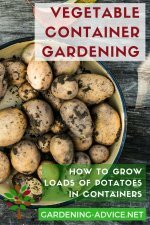 Remove weak and thin shoots to encourage the strong shoots. Cut them back to where you see a healthy bud. 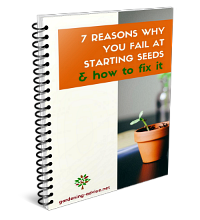 Remove shoots that grow into the wrong direction i.e. crossing each other or growing toward the center of the bush. 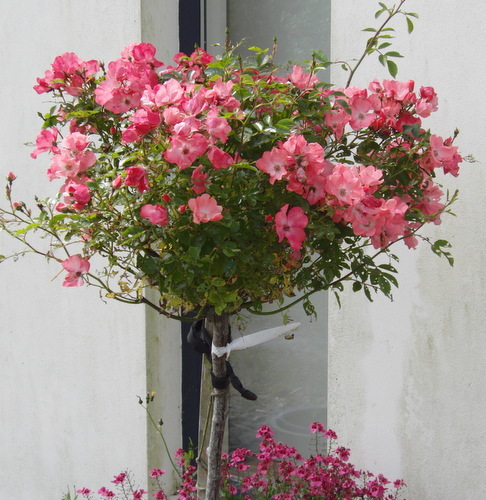 All branches that have flowered in the previous year need to be shortened down to a healthy bud on the main branch. 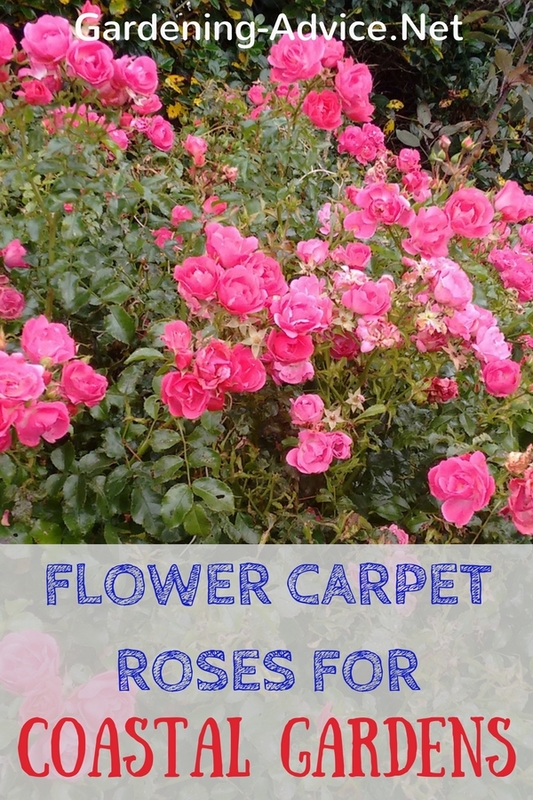 The rose used for the pictures below is a Flower Carpet standard rose but the principles of pruning are the same as if you were pruning other rose types. Here is the sequence from the beginning to finish. This rose will produce many flowers again this season as it did for many years already...so don't hesitate to prune roses hard. It is necessary from time to time!